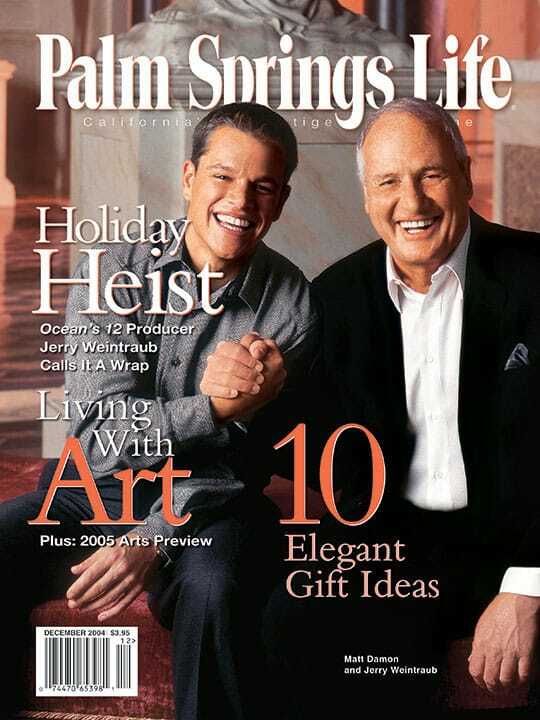 ON THE COVER — Ocean’s 12 star Matt Damon and producer Jerry Weintraub. Behind an all-star cast, Bighorn Golf Club’s proudest new resident, Jerry Weintraub, insists Ocean’s 12 — a sequel to the three-year-old remake of the Rat Pack classic that opens this month — will score big at the box office. East meets West at Jim and Jackie Lee Houston’s fundraiser to help neglected youth. 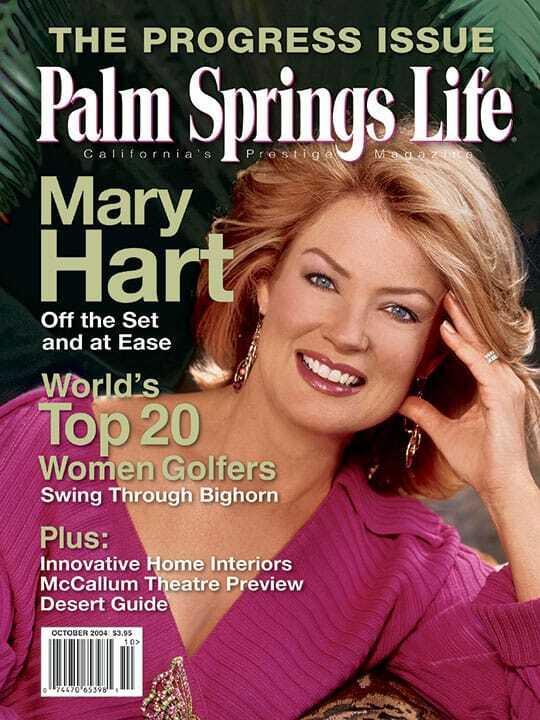 A Rancho Mirage resident who worked closely with Jim Henson recalls his brightest memories of taking TV’s first puppet show for adults to prime time. Express your love in unforgettable fashion with one of these gifts hand-picked for the holidays. 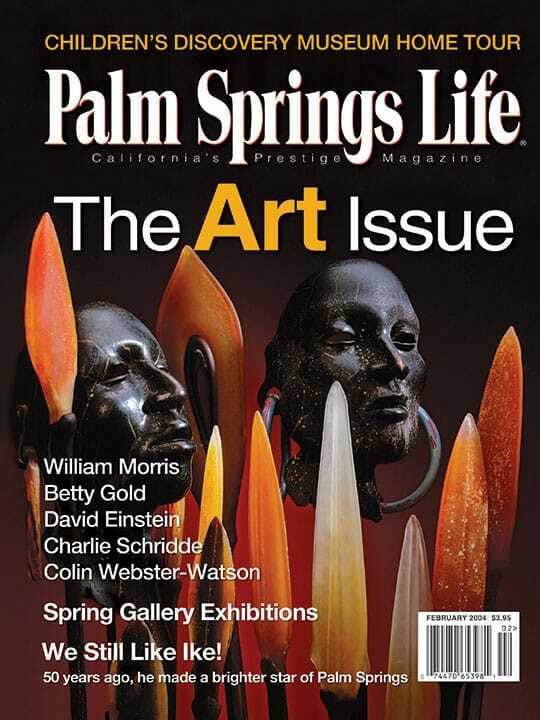 The premiere edition of Palm Springs Life ART+CULTURE offers a fresh look at Coachella Valley’s visual and performing arts scenes, and serves up a comprehensive season calendar.